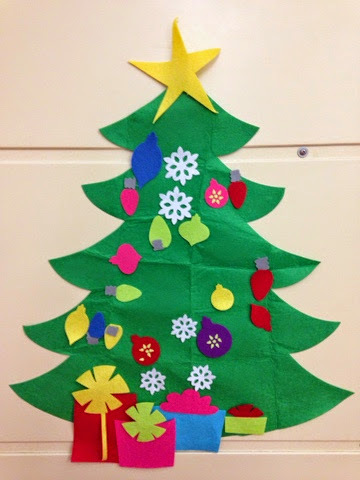 Our Classroom Christmas Cards + Templates for Yours! It's the season for Christmas cards! I always make one for my family...but had never made one for mu class...until now! 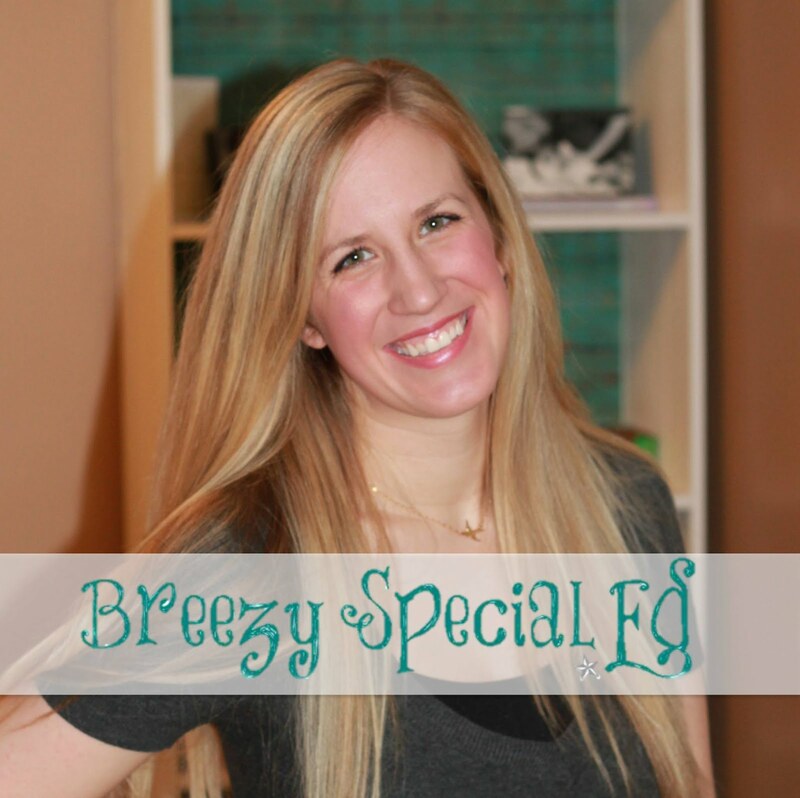 One thing I absolutely love about blogging and following other blogs is getting great ideas from other teachers! 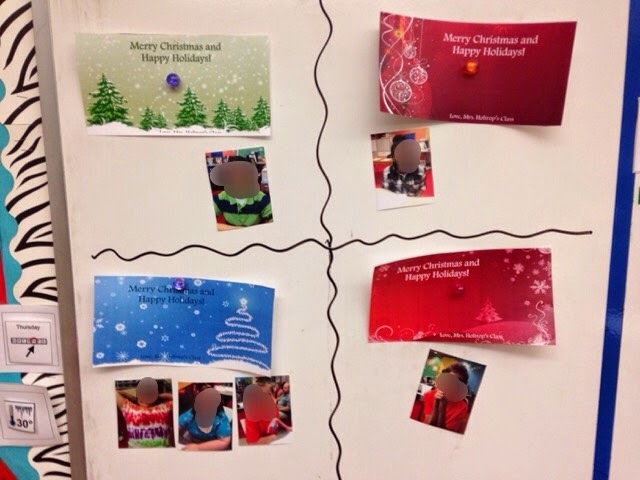 Sasha from The Autism Helper posted yesterday about her classroom Christmas cards, and I thought, OMG, why am I not doing this already? That is awesome! 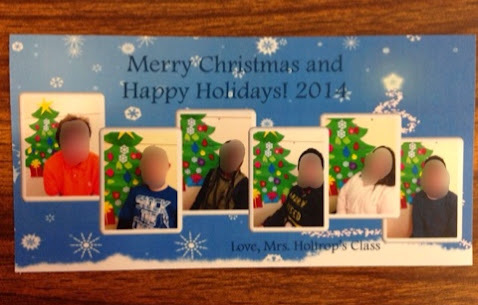 So, today, my class made Christmas cards and I am in LOVE! Seriously, how cute is this card?! So I first found a few backgrounds that I thought would work for cards. I had my students choose which one they liked the best. We counted our votes by putting our picture next to our choice. I then uploaded the pictures into PowerPoint and resized them all together and added a frame. (I love all of the options that PowerPoint has for pictures!) I then printed them on card stock and we cut them out with a paper cutter. I then had students sign the backs of the cards that would be going home and to a few other "special" people. I thought about doing all of them, but we came up with 30+ people we should give cards too, and let's be honest, I was lucky I got my students to write their name 8 times. 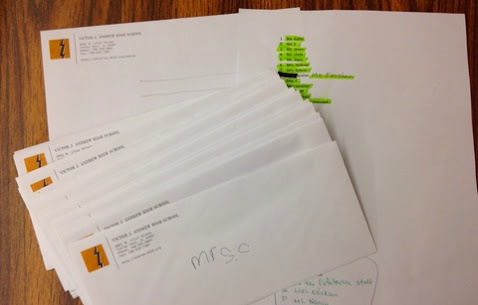 Students addressed our envelopes and they are ready to deliver tomorrow! And we will be mailing home the ones to their families! And I just have to show you one more time...Isn't this the cutest thing ever? If you have powerpoint and want to make Christmas cards as well, feel free to download and edit from this template. Four options are available and it will print 2 to a page. You could add individual pictures like I did, or if you're lucky enough to get a nice picture of your entire class, you could add just one instead! :) The size for these Christmas cards is 4x8. Enjoy! Let me know if you make any! This idea is brilliant! Thanks so much for the idea and template. Great ideas. Thank you for sharing. Btw, did you make your christmas tree or did you buy it somewhere? I would love to have one for my class. I bought it from Michaels I think. I added amazon links in the post. Hope that helps! I was inspired by Sasha's post as well! My student took a group photo and they signed and delivered SIXTY cards to every adult in the school! They loved it and so did the staff. :) Will definitely be a new holiday tradition. We also started a coffee business inspired by your blog. It's been going great!